Andrea Sanchez decided she wanted to switch from Sprint to a new carrier last May. So she went to the T-Mobile store on Kennedy Blvd. in Jersey City, and started talking to a salesman. Sanchez had an iPhone and an iPad mini, and those would be considered two lines, Sanchez said she was told. She took the deal, trading in her two devices for two new ones, and she expected T-Mobile to pay off what remained of her Sprint bill, just like her contract said. But a week later, she said, T-Mobile sent back the older iPad. Sanchez said she asked the salesman why. The contract said T-Mobile bought both devices, so Sanchez wasn’t satisfied. She wasn’t looking for a freebie, so she kept asking questions. The salesman never got more specific, she said. But then the bills started coming in, saying she still owed several hundred dollars to Sprint. Sanchez said she texted with the salesman, and he said he had made a mistake and he wanted to pay her debt. But, she said, that was the last she heard from him. The salesman stopped returning her calls and texts, so Sanchez went to the store and learned the salesman was moved to the Newport Mall location. Sanchez said she tried to reach him there, but he wasn’t in. So she tried the store manager, sharing the text evidence in which she said the salesman admitted he made a mistake. “She told me I needed to pay the last Sprint bill and she couldn’t really do anything for me because T-Mobile only pays up to a certain amount,” Sanchez said. But Sanchez had a contract that said T-Mobile was paying off both devices. That didn’t matter to the manager, Sanchez said, and she felt that no one was offering a solution. Through it all, collection notices started coming, and late fees moved the balance to more than $700. This was important for Sanchez because she wants to move into a new home for her and her daughter, and needs good credit to make the move. She didn’t have the cash to pay the bill, and she said she never would have switched if she knew it would mean debt. She said she didn’t want to sue T-Mobile. She only wanted the company to do what it promised. She asked Bamboozled for help. We reviewed Sanchez’s bills, collection letters and contract. Then we reached out to T-Mobile and to Sprint. Sanchez said she first heard from Sprint. She said the rep understood the problem, but he couldn’t do much to help. “He stated they can’t remove it [from my credit report] because it was T-Mobile who made the contract with me … but I could send the iPad back to lower my debt but I will still be in debt and he said it will stay on my credit for seven years until I’m 29, even if it was paid in full,” Sanchez said. We spoke to Sprint, which explained it would need T-Mobile’s help to resolve the issue. Until the bill was paid, there was nothing the company could do. So we reached out again to T-Mobile, and this time it called Sanchez. T-Mobile did send Sanchez the money, but at first, it wasn’t for the full amount. We checked in, and T-Mobile sent a second amount to Sanchez. Once she received the funds, she paid off the Sprint bill in full. So we went back to Sprint to see what it could do about Sanchez’s credit report. A spokeswoman confirmed the bill was paid in full, but Sprint wouldn’t remove the negative marks from the credit reports. “Due to the charges being valid, we would not submit to the credit agency to have it completely removed due to a billing error,” a spokeswoman said. But hang on: this wasn’t Sanchez’s fault to begin with. We asked Sprint to reconsider, but it said its review of the customer’s account was final. We then asked T-Mobile if it would submit an explanation to the credit bureaus, but we don’t have the answer yet either. So we asked the credit bureaus what Sanchez should do. Equifax, Experian and TransUnion all agreed it would be up to Sprint to remove the late payment data. If that didn’t happen, Experian said Sanchez could add a statement of dispute explaining what happened to her report. She could also upload the contract with T-Mobile stating it would pay the outstanding balance. 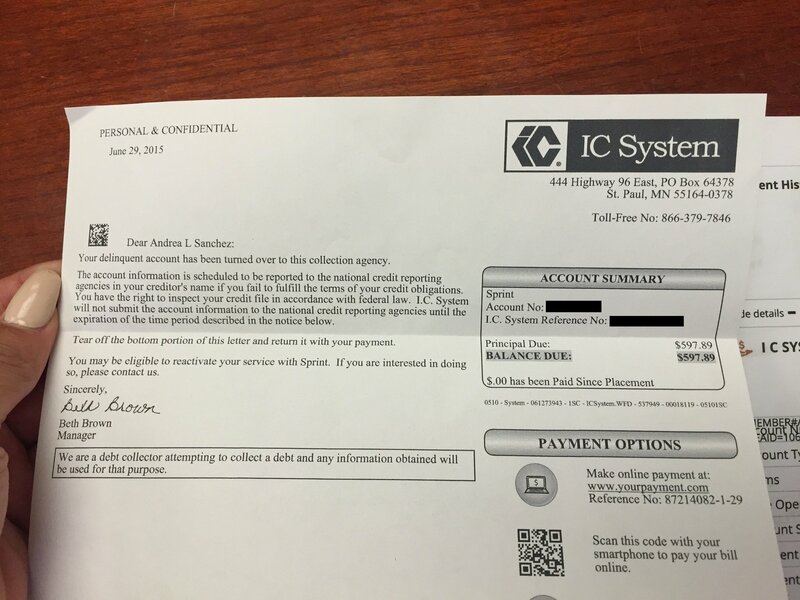 TransUnion said she could dispute the item with the credit bureaus, provide all the documents and ask them to review the new information. Bamboozled suggests she also add a copy of this column to the dispute. 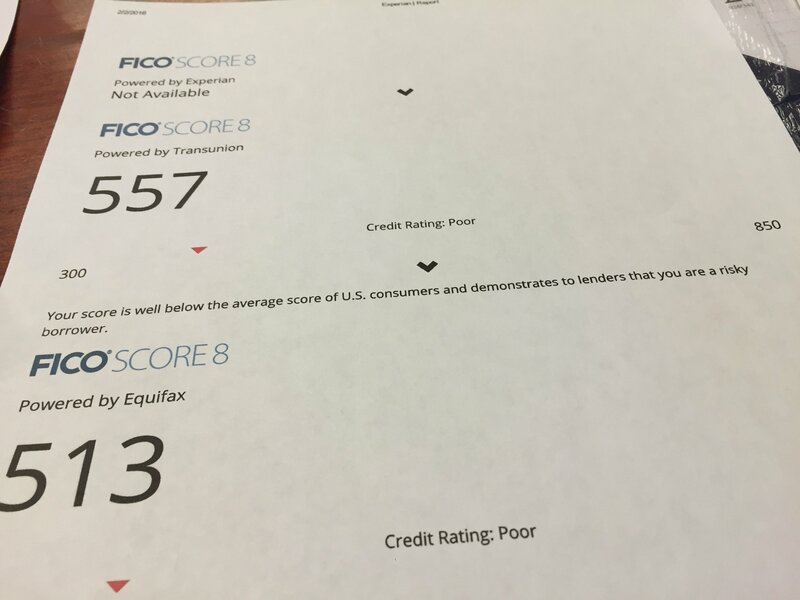 All those items may help with the dispute, but unless the negative marks are removed, Sanchez’s credit score won’t improve for some time. Plus, even if she adds notes about this incident for her credit files, it will only matter if a lender takes the extra step to read it all. “It means everything to get my credit back,” Sanchez said.